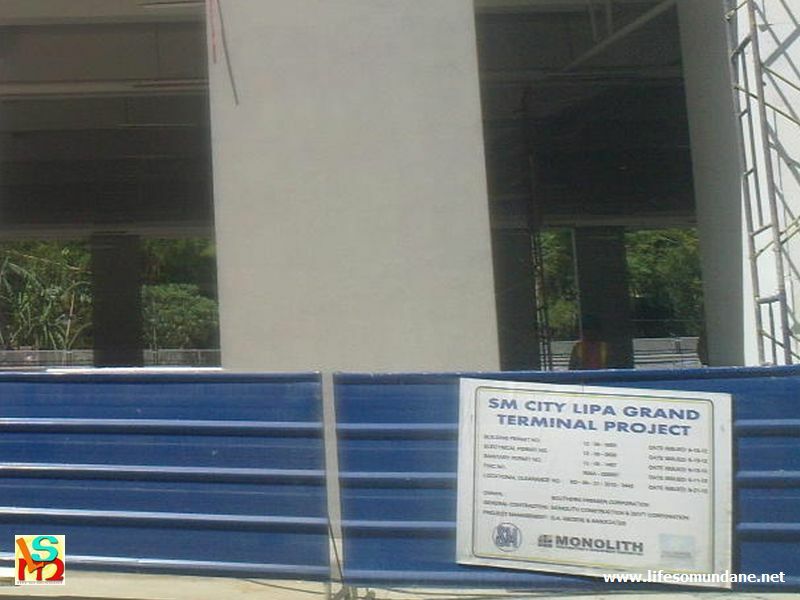 I was a bit early for the mall’s opening this morning, so I passed the time by inspecting the grand bus terminal that is currently under construction inside the grounds of SM City-Lipa. I was so impressed by what I saw that I felt impelled to take a picture. I do not blame the guard on duty for accosting me for taking the picture. The mall gets all sorts of negative publicity often enough for incidents that mallgoers cause. The paranoia was understandable. Besides, I had already taken the picture. The guard wanted to know what I had taken the picture for. Frankly, I was impressed by what I saw; the terminal, I mean. However, if I told the guard that I thought the terminal was worth a blog post, he probably would not have had a clue. At least, some of the local buses are starting to take on a veneer of professionalism. I’m not sure if other bus lines are doing so as well, but JAM and its affiliate lines have asked their drivers and conductors to wear dark slacks, light gray-blue short-sleeved polo shirts and – believe me you – a tie! So I did the sensible thing. I told him simply, “For Facebook.” And he nodded his head knowlingly. For somebody who was wary about a picture being taken of what will become a public facility, anyway, the guard was nonetheless chatty. Do not take my word – or his – for it, but apparently the lower level will be the terminal while the upper deck will be public parking for the mall’s customers. The terminal is supposedly a joint project of the mall and the local government; but again, don’t take this as fact. I know that there is some concern about the location of the grand terminal because of its potential for causing traffic. On the other hand, Batangas City’s grand terminal is way outside of the city proper and there is griping about that as well. 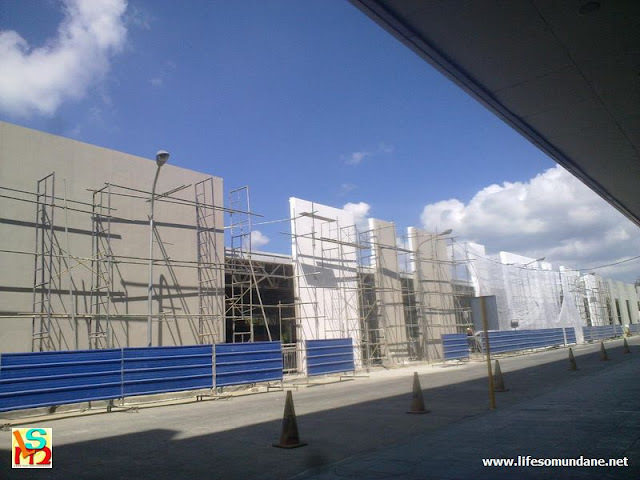 All I know is that I liked what I saw of the Lipa City grand terminal; and it is not even finished. I am excited to see what it will be like when it is finished. Considering that buses – along with jeepneys – are the most readily available public transport for inter-city travel, what is strange is that it has taken so long before such a facility was even conceived. Public transport, in many countries, is a function of government. In this country, it is very much a private sector undertaking. The very least that government can do is to provide the terminals; and this is why I am happy that we will be having a decent one in this city. Of course, whether local government really had anything at all to do with the terminal, that I will have to find out. It’s a bit too much, I suppose, to expect ticket booths, an airconditioned waiting area and electronic boards that display ETD’s. Terminals for aircraft and watercraft have these. Why not for buses? The electronic board and airconditioning are perhaps in the category of ‘wishful thinking;’ but, in fact, some buses that ply the northern routes already do things this way in their own privately owned terminals. Generally, however, ours is not really a planning culture. Buses – as do jeepneys – have simply catered to the way we do things. This is a generalisation, of course; but by and large, to those who ride public transportation, the decision to go is often made almost as a whim. It’s, like, you decide to go, stand by the roadside and wait for a jeepney or bus to pass. If none arrives within the next few minutes, you already become impatient because you know as a matter of course that that is not normal. I’m sure buses which ply the routes in this province follow a loose sort of schedule. By and large – or, at least, from what I myself see – most buses stay at the terminal waiting to fill up seats with passengers. It’s annoying to say the least, particularly on slack days. I, for one, had the utter misfortune to board a bus to Alabang when there were just three passengers and the driver took this as cue to stop by a diner in Tanauan to have breakfast. The longer he took the more ways I devised in my head to strangle him when he got back on board. Not that a grand terminal with all the amenities will suddenly change culture; but, at the very least, having fixed departure times and asking the bus operators to stick by these go a long way in helping those who do like to plan their trips. I haven’t boarded a JAM bus for sometime; so I wouldn’t really know if the get-up has improved the road ethics and customer service. But it’s a first step towards professionalising the industry. I’m sure the drivers and conductors feel good about themselves, too! At the very least, the tie gives them the look of respectability.